THE Zimbabwe Power Company (ZPC) has denied playing any role in causing the arrest and prosecution of Harare businessman and Intratrek Zimbabwe managing director Wicknell Chivayo over allegations of fraud, corruption and money laundering relating to ZPC's Gwanda solar project. Chivayo is being prosecuted on corruption and fraud charges at the magistrates' court over the manner he handled the 100 megawatts solar project, spearheaded by ZPC, after he received $5 million advance payment for the project from ZPC without a bank guarantee. In its answering affidavit, in a case Intratrek is claiming breach of contract by ZPC filed at the High Court on November 14, 2018, ZPC refuted Intratrek's claim that it frustrated the contract by causing delays to the implementation of the Gwanda solar project. 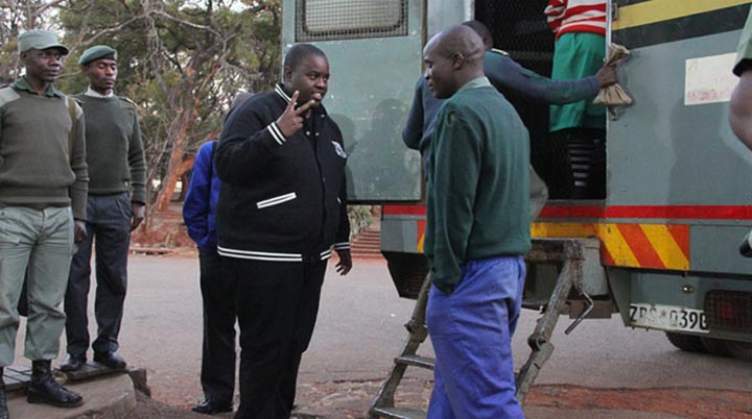 Further, the State power utility also denies playing a part in causing the arrest of Chivayo. The contract dispute case between ZPC and Intratrek has since been set down for hearing by the High Court on the opposed roll on the 26th of November, 2018. While it is ZPC that was allegedly defrauded or corruptly prejudiced in the Gwanda project, which led to the arrest and prosecution of Chivhayo, the power utility has denied any hand in causing the controversial business man's arrest. "It is...important to note that the allegations that respondent caused the arrest of the applicant's managing director (Chivayo) is patently false and should be disregarded by this honourable court. "As highlighted in the respondent's notice of opposition, at no material time did it file charges against the applicant's managing director. "Despite it being challenged to produce evidence that the charges were filed by the respondent, the applicant has not adduced such evidence," ZPC submitted to the High Court. When Chivhayo's prosecution started after his arrest at Robert Mugabe International Airport in August, on charges of fraud, money laundering and contravening the Exchange Control Act, the complainant was ZPC represented by Board member, Thandiwe Mlobane. ZPC has since threatened to cancel the $173 million Engineering Procurement and Construction (EPC) contract signed between the parties in October 2016 for construction of the Gwanda solar plant alleging breach of contract by Chivayo's Intratrek. The State power utility adjudicated and awarded the Gwanda solar project tender to Chivayo's firm in 2016, which was also approved by the then State Procurement Board, now Procurement Regulatory Authority of Zimbabwe. The power utility has claimed Intratrek failed to perform its obligations (condition precedent), as outlined in the contract, specifically completion of specific works within the agreed timeframes. But Intratrek denies the claims and instead blames ZPC for causing delays to the implementation of the project through its failure to obtain an Environmental Impact Assessment Crtificate and fraud charges it allegedly instituted against Chivayo in December 2017 alleging fraud and corruption in the execution of the Gwanda solar plant project.